On the weekend I skype sewed with my friend M. On Saturday I made 35 nine patches for a mystery quilt put on by The Mayflower Quilters' Guild which M and I both belong to. Next month we will get the clue for the second block. I'm making the lap size. M was putting her sewing room back together after removing the carpet and installing laminate flooring and a new window. On Sunday I decided to make a basket and chose a rooster and egg fabric which I lined with another chicken and egg fabric and finished with woven printed handles. I downloaded the 1 hour basket tutorial for free from Craftsy. M was working on a round robin medallion quilt. 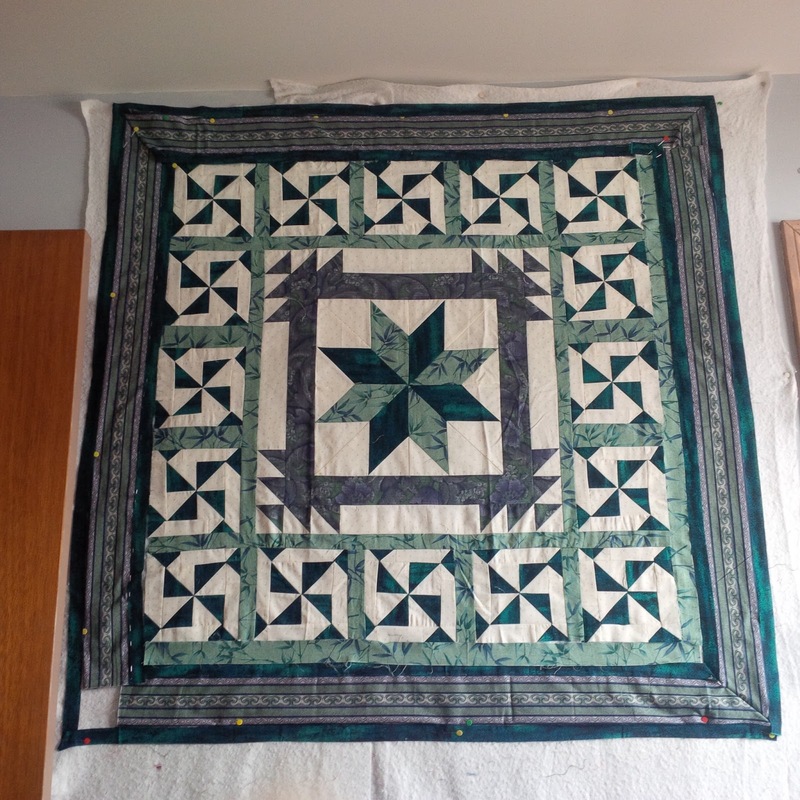 The centre medallion was made by the owner of the quilt and it will make it's way to all the members of the bee who will each add more rows. M is the third to add to it. 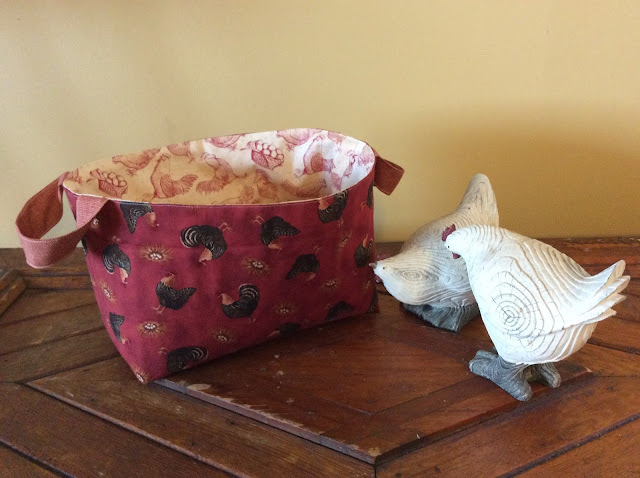 It wasn't until I went to write this post that I realized all my weekend sewing revolved around chickens and eggs again... I guess I like them!